Trainer Chris Munce is looking forward to the return of talented 3yo Racecourse Road at Caloundra. 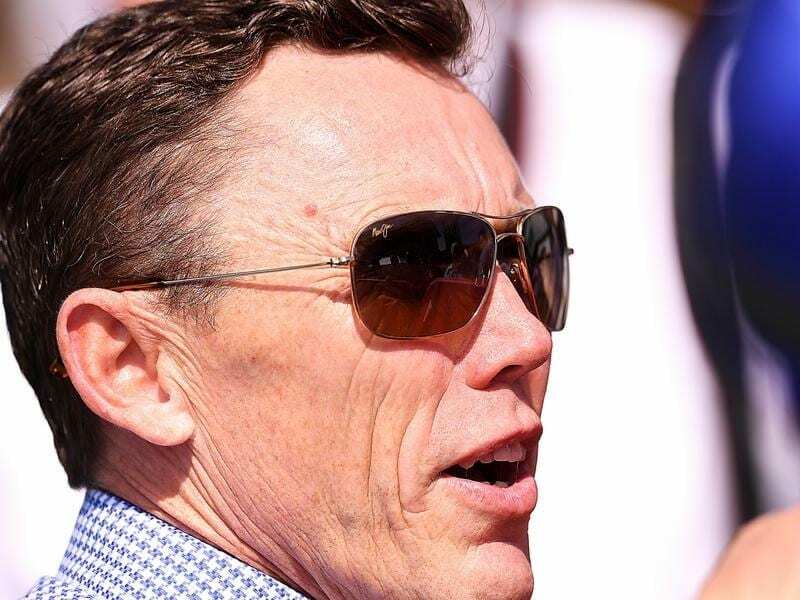 Promising three-year-old Racecourse Road returns to racing at Caloundra and trainer Chris Munce hopes it will signal big campaigns for several of his young guns. Many of his younger horses are back in his Eagle Farm stable and Munce will be bringing them back to racing in the next few weeks starting with Racecourse Road in the Rhumba Beach Resort 3YO Handicap (1000m) on Saturday. Racecourse Road won a trial at Doomben last week while there was little between the Munce-trained four-year-olds Johnny Whitesox and Saint Patrick’s Day who ran one-two in an open heat. Munce is hoping their new campaigns will be major ones with the trials a good pointer. “All three trialled well and I will probably run Racecourse Road at the Sunshine Coast on Saturday. The three-year-old handicap suits him first-up and he won his first start impressively over the trip,” Munce said. Racecourse Road struck trouble at both his other starts last campaign when unplaced in stakes races during the winter. He had no luck including when he slipped over in the saddling enclosure before the Dalrello Stakes. “He deserves some luck and I think he is in for a good campaign. He has come back a really nice horse,” Munce said. Racecourse Road is by former top sprinter Show A Heart out of Kidnapper making him a half-brother to stakes-winner Cape Kidnappers. At $4.60 on Thursday, Racecourse Road was edging Coastal Boy ($4.80) for favouritism. Johnny Whitesox is likely to resume at Doomben on Saturday week and might have a jump-out before hand. Munce feels stakes winner Saint Patrick’s Day might need another trial before he is ready to resume. “All three are likely to stay in Brisbane as there are plenty of races for them. But the option is always there to head south late in the spring if their form is good enough,” he said.